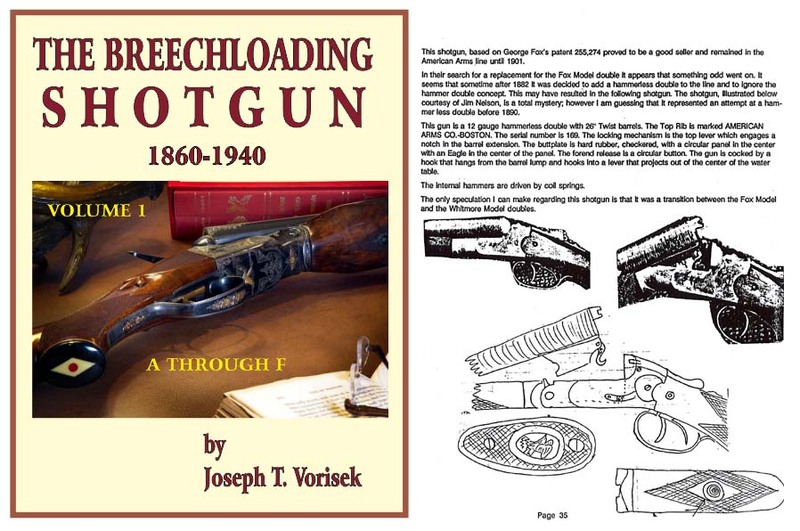 Please see Stevens, Springfield and Fox gun headings for early catalogs. In 1930 Savage bought the AH Fox company. AH Fox began production in 1907 at the Incorp plant in Philadelphia, PA. In September, 1907 Incorp (Incorp was also associated with Stevens, Meriden, New England Westinghouse and AH Fox) took over the assets fo the AH Fox Gun Co. (possibly as the Philadelphia Arms Co.). By 1911 they were apparently bankrupt and were taken over by Mr. Godshalk. Savage was established in 1894 by Arthus W. Savage. During WWI Savage produced Lewis Machine Guns for the military. In 1920 Savage bought the J. Stevens Arms Company which had been associated with Harry Pope, the barrel maker. in 1927 Savage bought the Page-Lewis Company. Later, Davis-Warner was bought by HD Folsom then traded as Davis-Crescent and in 1930 was bought by Stevens. Savage/Stevens continued to make "Crescent Guns-Norwich, CT" until 1934- after that "Crescent, Chicopee Falls, MA". In c1928-29 Savage bought the AH Fox company.